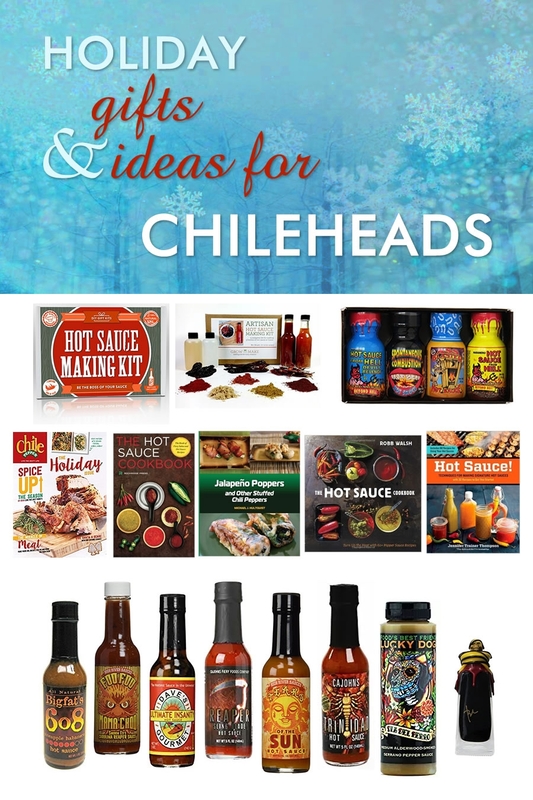 A list of gift ideas for the spicy food lover or total chilihead in your life. Give the gift of heat! The holidays are here, my friends! I hope you’re busy making your recipe lists, but don’t forget your gift lists! If you’re like me, you might enjoy making and giving your own homemade foods as gifts to friends and family, like homemade hot sauce, homemade jellies and jams, or even Homemade Spice Blends, but if that’s not your thing, I’ve compiled a list of spicy hot sauces, gifts and books most spicy food lovers and total chileheads will love. I know I would! These are all affiliate links to Amazon, btw. Just so you know. But all products I personally love and would LOVE to receive myself! Bring on the spice! CHEERS to all the chiliheads in your life, and I hope you all have a FABULOUS (and spicy) holiday season. These are some of my personal favorites, along with some collectibles. If youhave yet to start making your own hot sauce at home, these kits will help you begin. Great ideas! Here is a collection of books on making hot sauce, cooking with hot sauce, and a couple books that I have written with recipes and more. I love this magazine. I’ve written several features for them and they are great to work with. A MUST for chileheads, with loads of recipes and fun in each issue. I hope everyone has a WONDERFUL and SPICY holiday!